James Joyce was one of the most famous and controversial writers of the 20th century. His epic novel, Ulysses (published in 1922), is widely considered one of the greatest books in Western literature. However, it was criticized and banned in many places upon its release. His other key works include Finnegans Wake (published in 1939), A Portrait of the Artist as a Young Man (published in 1916), and the short story collection Dubliners (published in 1914). ﻿Joyce’s works are often known for using a “stream of consciousness” literary technique, through which Joyce gave readers insight into his characters’ thought processes. Below are some famous quotes from James Joyce. James Joyce was born in Dublin in 1882 and died in Zurich in 1941. Joyce spoke numerous languages and studied at University College Dublin. Joyce was married to Nora Barnacle. 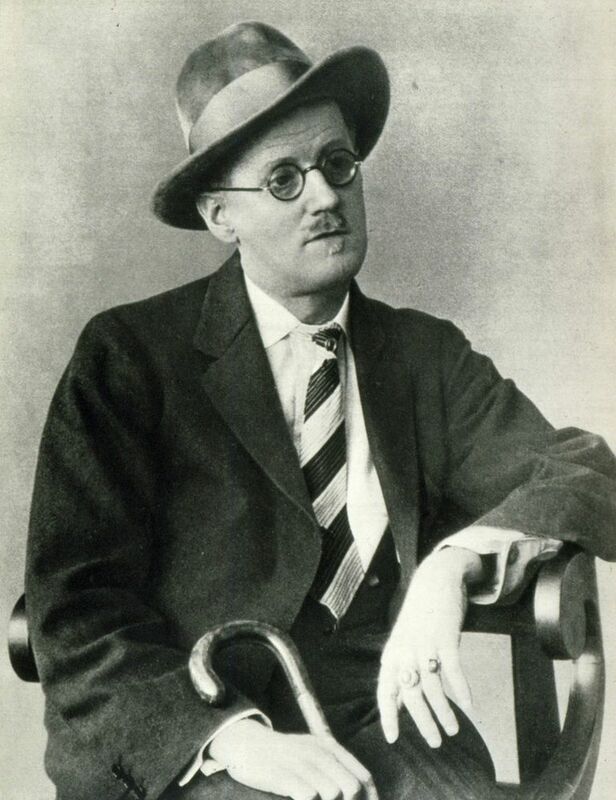 Although most of Joyce’s works are set in Ireland, he spent very little time there as an adult. Joyce’s famous novel, Ulysses, was considered controversial when it was first released and was even banned in many places. James Joyce’s works are considered an example of modernist literature, and they use the “stream of consciousness” technique. 1. "Better pass boldly into that other world, in the full glory of some passion, than fade and wither dismally with age." 2. "'History,' Stephen said, 'is a nightmare from which I am trying to awake.'" 3. "I had never spoken to her, except for a few casual words, and yet her name was like a summons to all my foolish blood." 4. "A man of genius makes no mistakes. His errors are volitional and are the portals of discovery." 5. "He tried to weigh his soul to see if it was a poet's soul." 6. "My words in her mind: cold polished stones sinking through a quagmire." 7. "Shakespeare is the happy hunting ground of all minds that have lost their balance." 8. "She dealt with moral problems the way a cleaver deals with meat: and in this case she had made up her mind." 9. "The artist, like the God of the creation, remains within or behind or beyond or above his handiwork, invisible, refined out of existence, indifferent, paring his fingernails." 10. "The demand that I make of my reader is that he should devote his whole Life to reading my works." — James Joyce, by Richard Ellmann (1959). 11. "Welcome, O life! I go to encounter for the millionth time the reality of experience and to forge in the smithy of my soul the uncreated conscience of my race." 12. "When the Irishman is found outside of Ireland in another environment, he very often becomes a respected man. The economic and intellectual conditions that prevail in his own country do not permit the development of individuality. No one who has any self-respect stays in Ireland, but flees afar as though from a country that has undergone the visitation of an angered Jove." 13. "Writing in English is the most ingenious torture ever devised for sins committed in previous lives. The English reading public explains the reason why." —James Joyce, letter to Fanny Guillermet, 1918. 14. "Your battles inspired me - not the obvious material battles but those that were fought and won behind your forehead." —James Joyce, letter to Henrik Ibsen, 1901. This is only part of our study guide on James Joyce. Please see the links below for more helpful resources on Ulysses and other classic novels. For quotes from other famous 20th century writers, see the links below.